We believe this specimen is an earthworm! 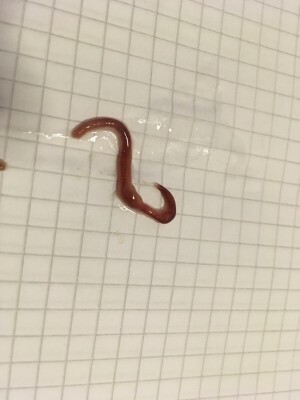 Like the creature in this photo, earthworms have red/brown, segmented bodies. 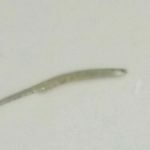 They are several inches long, and we can even see the clitellum on this specimen, which is a raised band of segments on an earthworm that contains its reproductive organs. 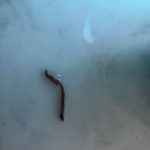 Also, earthworms are found in toilets by our readers all the time! 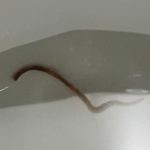 Since our reader has found earthworms in his toilet on several different occasions, we think they are definitely coming from his sewer or pipes. Earthworms typically live underground in moist soil. 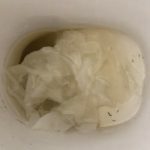 When it rains, they use the wet conditions as an opportunity to relocate, and sometimes they somehow slip through a crack or gap in the pipes or plumbing system and end up in someone’s toilet. We still don’t know exactly how this happens, but this is our best guess. 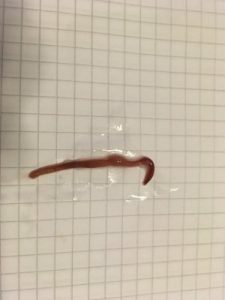 The earthworms our reader found are probably alive since they can survive submerged in water for a while (as long as the water has enough oxygen in it.) We recommend he simply remove them and place them outside. 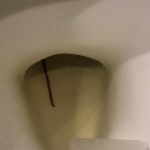 The bigger issue is preventing more earthworms from popping up in his toilet. 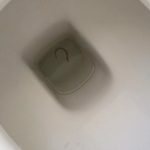 Since he has found them on more than one occasion, there might be a small issue with his sewer or plumbing system. 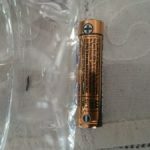 He can handle this however he sees fit, whether that means calling a plumber or dealing with the issue on his own. In summary, the red worms our reader has been finding in his toilet are earthworms, not intestinal parasites. That being said, if our reader is truly worried about his health, he needs to address those concerns with a medical professional who is licensed to give medical advice! 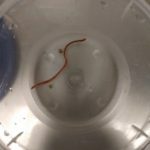 The red worms our reader has been finding in his toilet are earthworms, not intestinal parasites. That being said, if our reader is truly worried about his health, he needs to address those concerns with a medical professional who is licensed to give medical advice!